Welcome to Holy Trinity Church, on the slopes of the lovely Malvern Hills. You will find a warm welcome here in our rich varied and weekly worship, or at any of our activities. We seek to be an active and lively Christian community; serving the people of our parish and beyond, offering supportive fellowship, and providing opportunities for exploring and expressing our faith together. Our parish is a part of the Diocese of Worcester in the Church of England, we work alongside many sister Churches of all denominations in the Malvern area, and have links with Christian communities elsewhere and overseas. See the Links page for more details. Our Church buildings are on the A449 Malvern to Worcester road, by the traffic lights at the top of the Link Common. People of all ages and persuasions are most wecome at all our services. There is an area with suitable materials for toddlers to use during the services in church. We are sure that you will find our Church pleasant, comfortable and convenient for all. 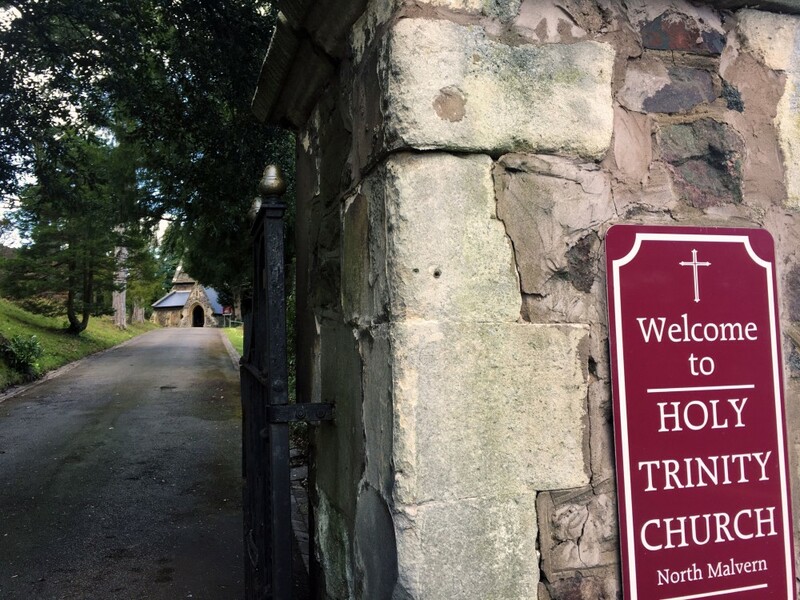 We at Holy Trinity Malvern are committed to keeping children, young people and vulnerable adults safe and to enable them to worship and grow in Christ safely. If you would like more information or to speak to someone please click here.